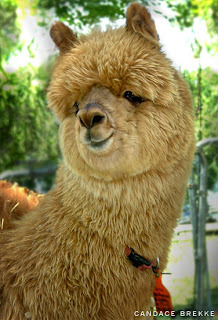 Have you ever seen an Alpaca before? I came across this little fella this past weekend at the petting zoo in Velva. Kinda cute, huh?